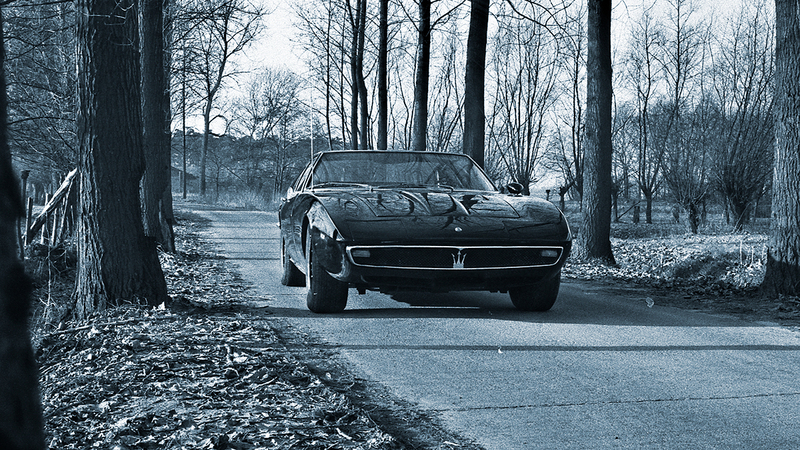 Few would argue that 1960s Italian design wasn’t among the best the world has ever seen. 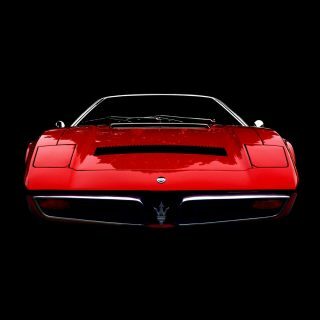 This incredibly fertile age gave rise to countless beautiful consumer goods and near-perfect cars. 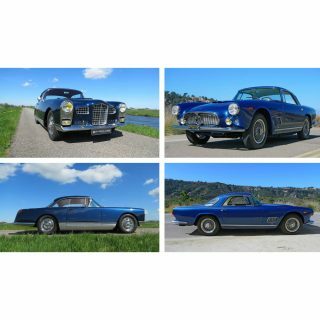 Just close your eyes for a moment and picture the soft, organic curves of a TZ, the elegant detailing and spot-on perfect proportions of the Miura, or the boxy yet beautifully wrought Alfa and Lancia sedans of the period—what could be better? I simply can’t think of another time when the industrial design of any single nation churned out so many lovely things for such an uninterrupted stretch. 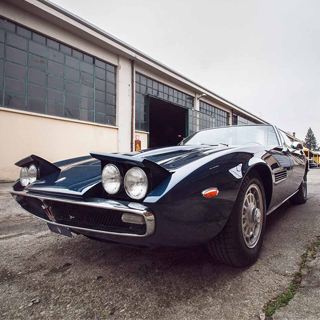 Conceived at the height of this era in 1966, the Ghibli was among the best of the best during a time when beautiful lines were a given for new high-end Italian machinery. 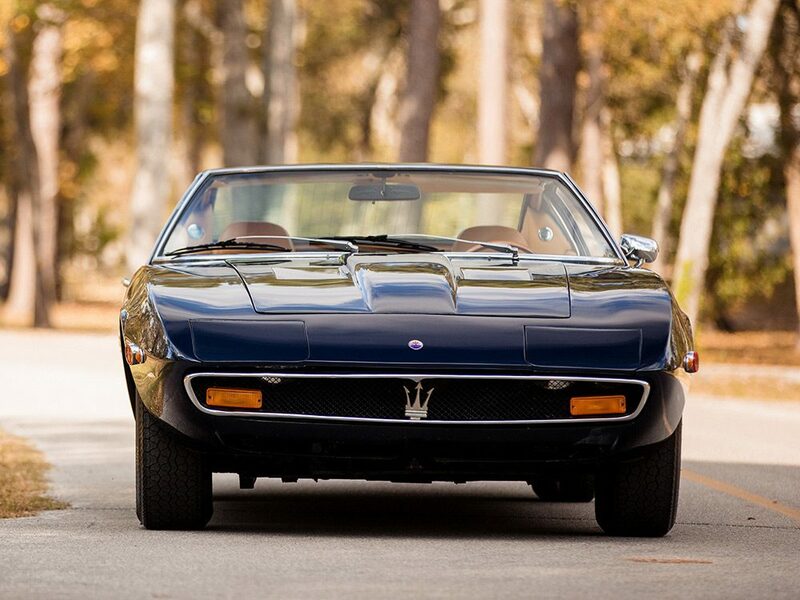 Maserati, in honor of long-standing company tradition, was facing imminent failure in the mid 1960s, and the Ghibli can largely be credited with avoiding that sad fate. 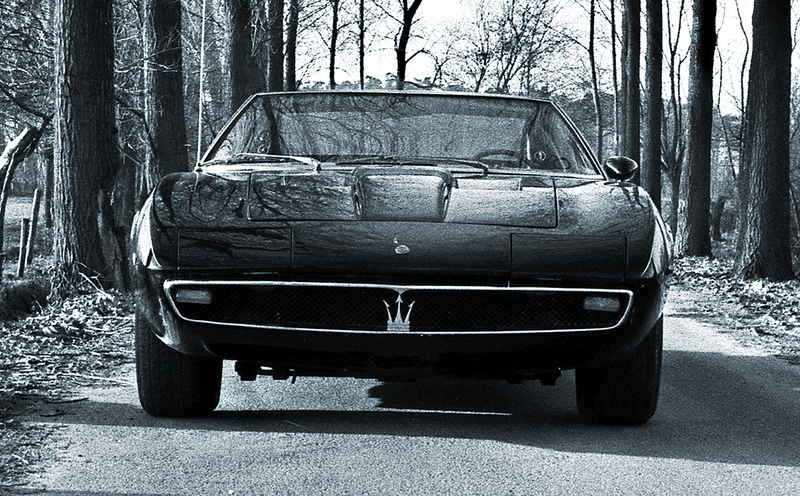 It was their most successful car ever at the time, and outsold the Daytona and Miura by a large margin. 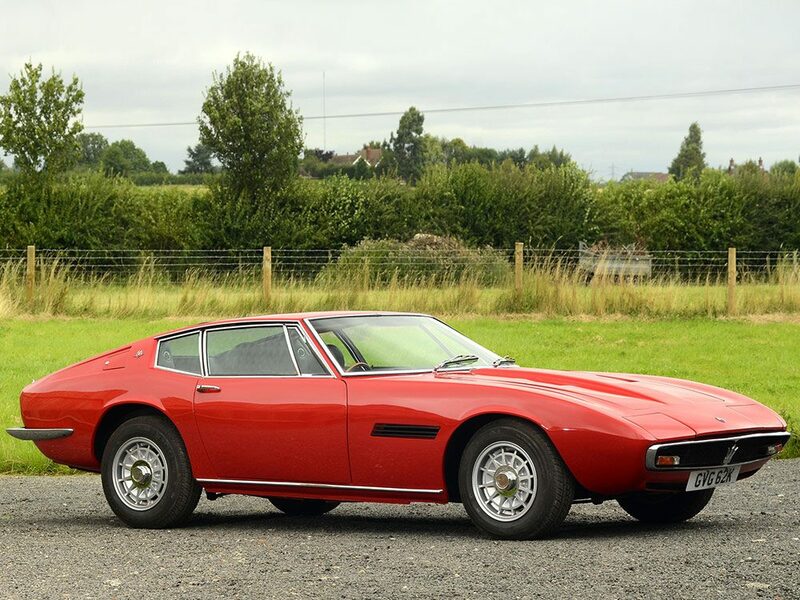 Styled by Giugiaro, perhaps the greatest and most prolific body artist of all-time, the Ghibli was much more of a Grand Touring car than its aforementioned cross-town rivals, with a generally more subdued though no less striking overall appearance in comparison. Its graceful, tapering, and razor-sharp nose flows into incredibly long and flowing fenders—so long in fact that they appear to be identical in length to whatever car remains aft of the A pillar, an area dominated by what was and remains a huge and airy greenhouse for such a low-slung car, made all the more remarkable by its perfect implementation, remaining cohesive with a type of body more frequently adorned with very little glass. 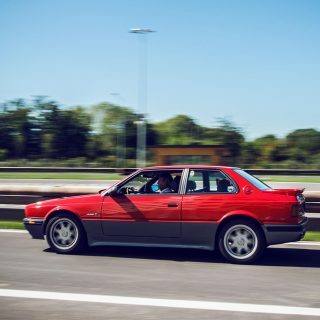 Details like the horizontal venting between the front wheel housings and leading edge of the doors help break up the Ghibli’s mass into more easily visually digestible pieces, while others serve less practical functions and are simply gob-smackingly gorgeous for the sake of being so. Witness, for example, the reversed C-pillar venting, each delicate impression housing symmetrical fuel filler doors giving access to twin 13 gallon fuel tanks—the quad cam, 4.7 liter, 330 HP (200 CC larger and 5 HP more powerful in SS form) V8 living underneath that runway-length hood was thirsty even by the lax standards of the day, returning single digit fuel economy if asked to perform anywhere near its limits. Inside, in typical fashion of the day, one finds gauges and toggle switches strewn about a long and flat metal dash, interrupted by a wide and high-mounted center console running the length of the cabin. 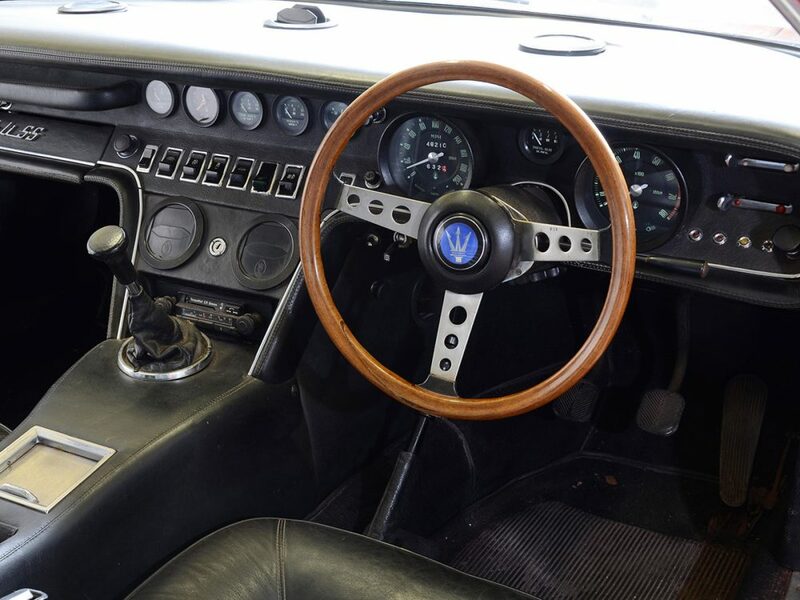 A wood-rimmed steering wheel with tapered and drilled alloy spokes frames a tachometer redlined at 5,500 RPM and a 150 MPH speedometer; adjustable neither in length or rake it necessitated a long arm, short-legged driving position then prevalent in Italian cars—not exactly comfortable, but really, who cares? 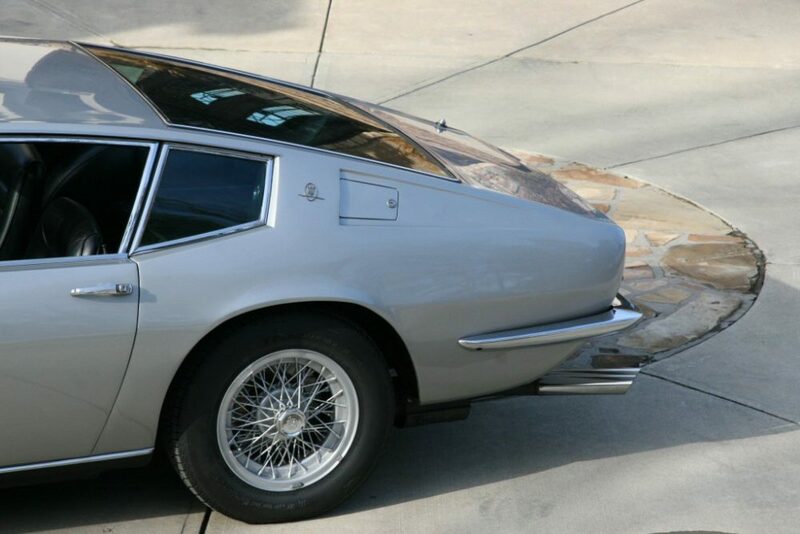 Lamborghini famously claimed his Espada was intended to be a sort of Italian Rolls Royce—large, comfortable, quiet, powerful and stately. We like to think of the Ghibli as the Italian equivalent of an Aston Martin, combining all those lovely virtues but with an added reserve of understatement, elegance, and sportiness. The idea of driving one across the Alps sometime in the spring of 1967, en route from Genoa to Monaco with two full tanks and Dusty Springfield on the Becker are imagined memories from a bygone era of style and the kinds of dreams vintage cars hold for those of us afflicted. 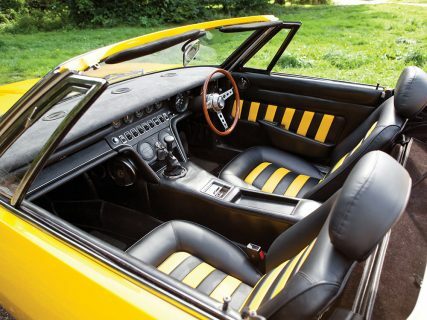 Nice article – however, the steering column is in fact height-adjustable. 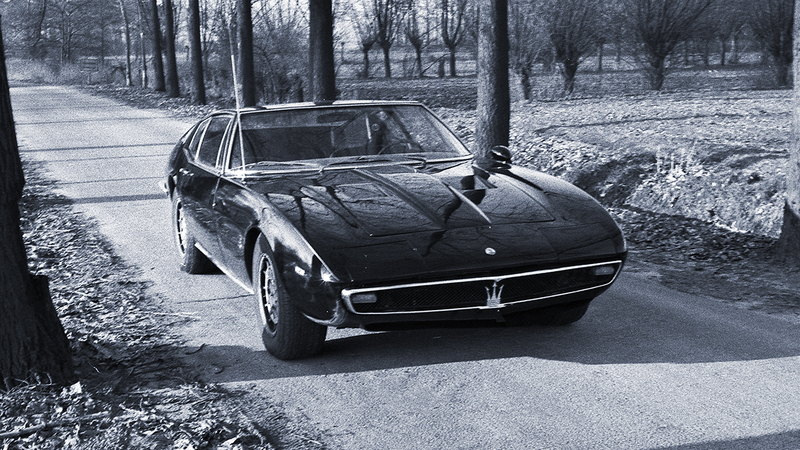 The dial is visible in this picture of my previous Ghibli SS. 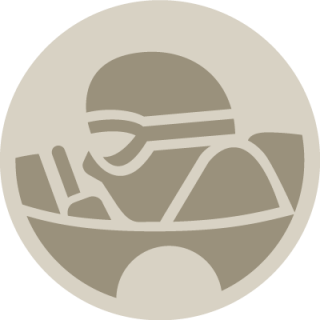 Great story. Thanks for sharing, Andre! Thank you for the most informative piece. I knew little about the Ghibli and learned quite a lot. Now this is why i love Italy. 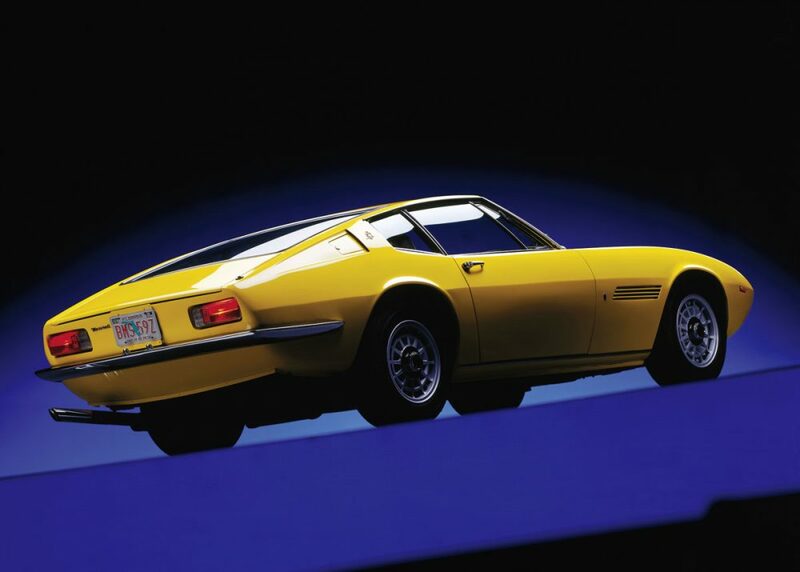 It gave us some of the most beautifully designed cars of all time. And it still does. Nice piece on a car I would really like to have a drive of someday. 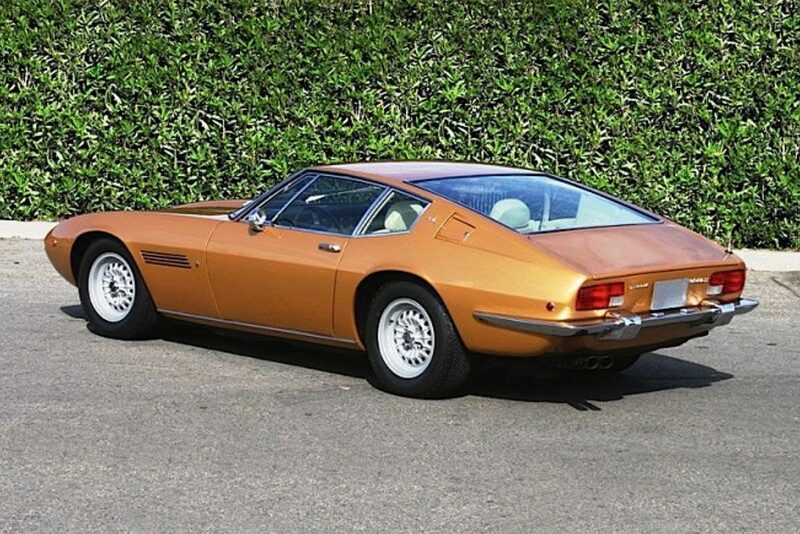 One correction though the Ghibli did not come close to outselling the Daytona. 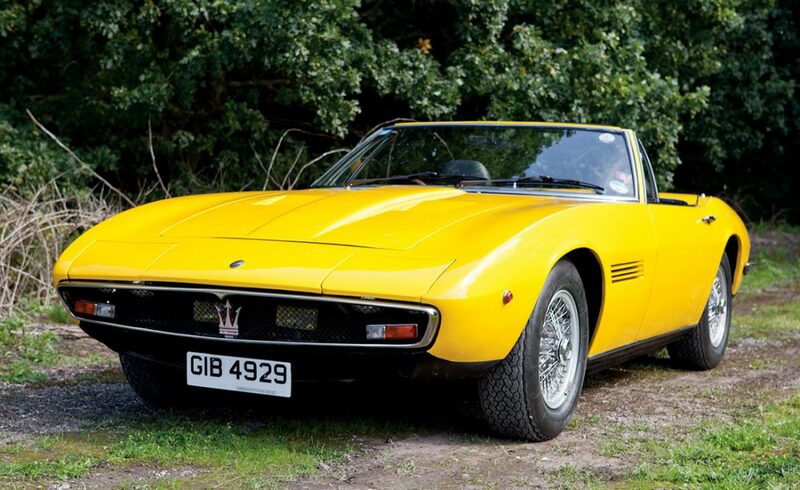 Per Maserati club UK’s website 1149 Ghibli coupes were made and 100 Spyders (although I have often heard the number 125 talked about). 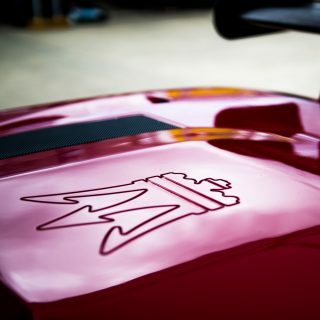 That compares to 1289 Daytona Berlinettas and 122 Spyders. 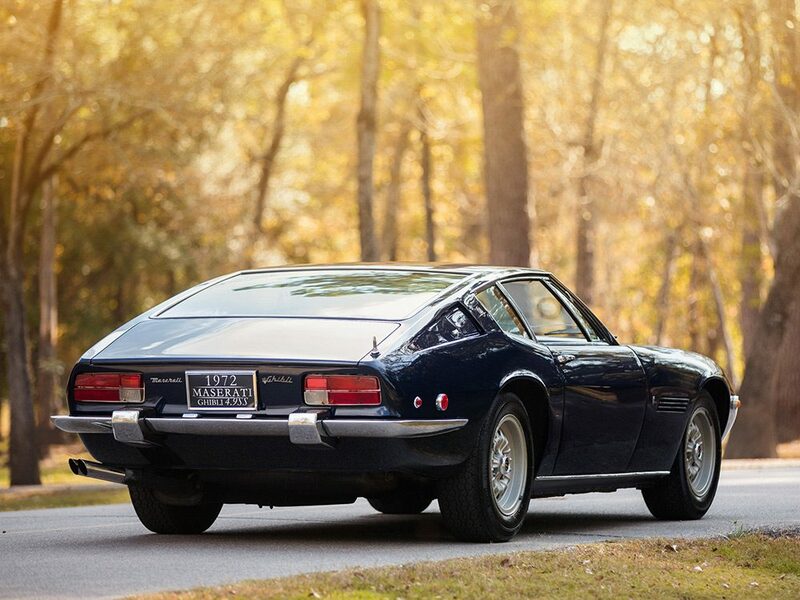 The Daytona was also in production for a slightly shorter period. 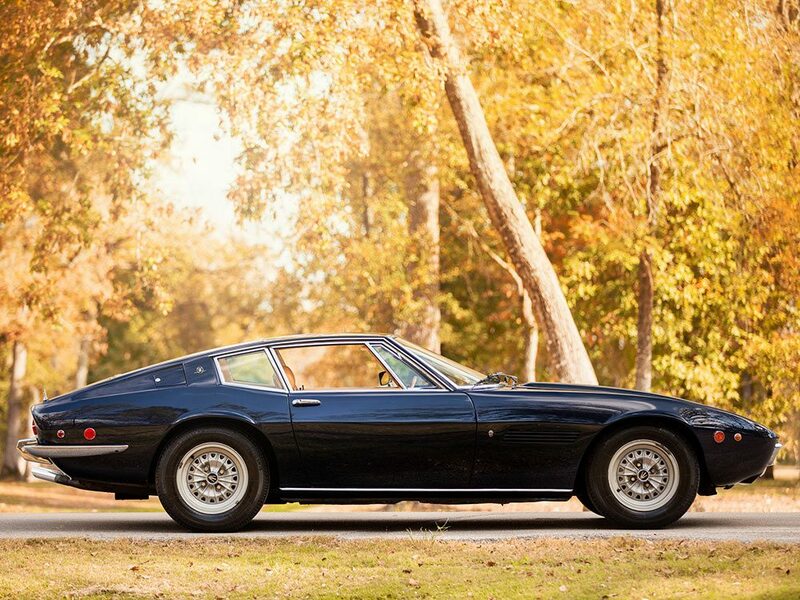 No doubts though that both cars outsold the (admittedly more expensive when new) Miura with 764 made.